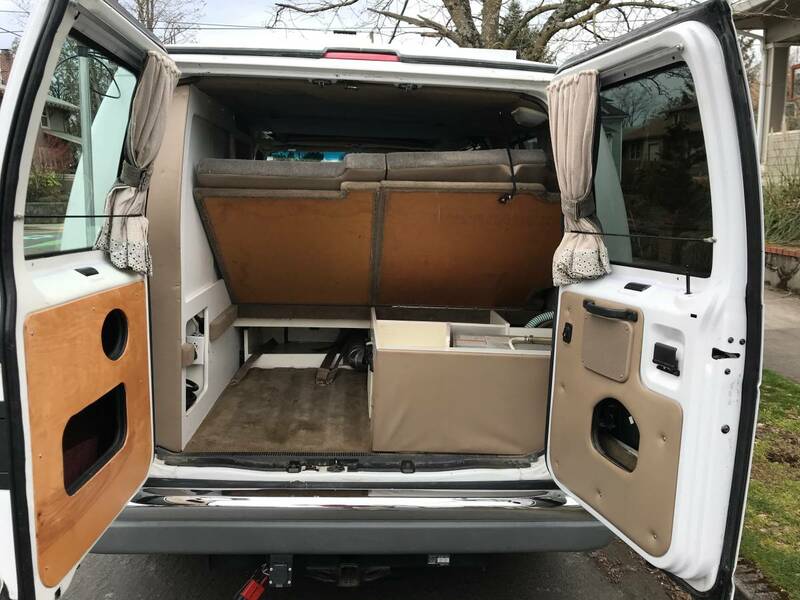 We love this van, and are only parting with it since we’re upgrading to a larger / more expensive Sprinter van. 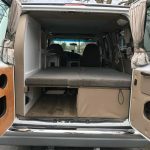 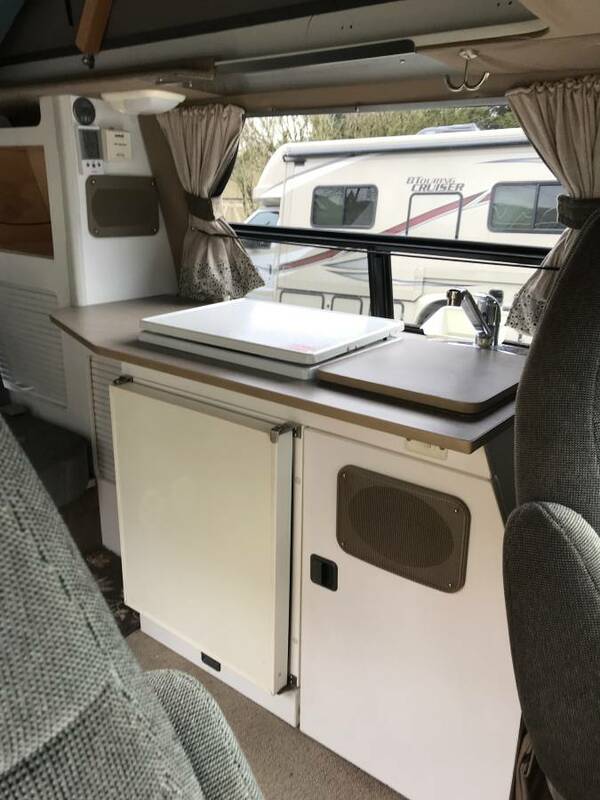 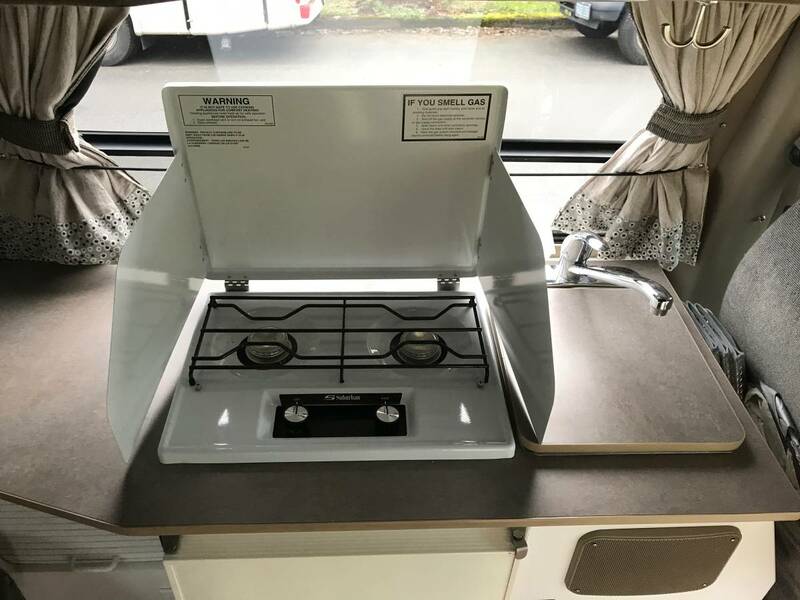 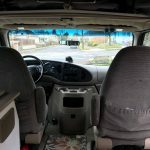 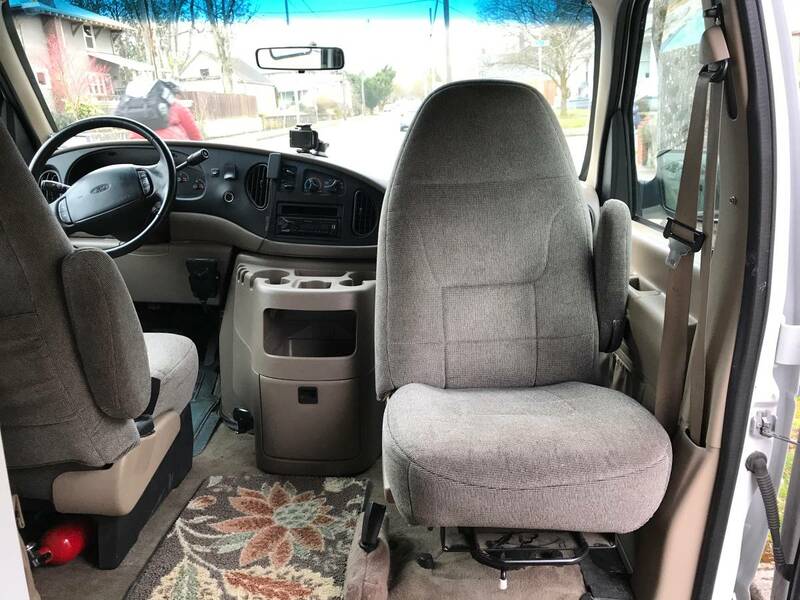 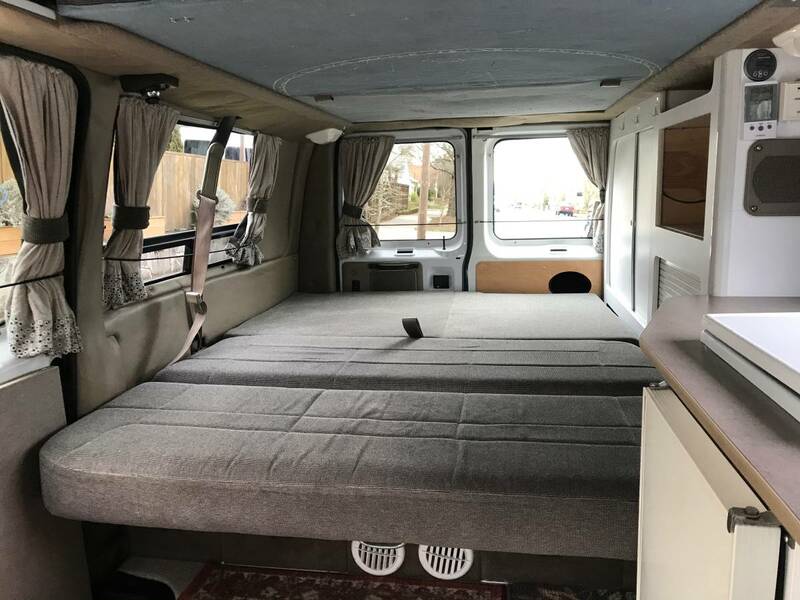 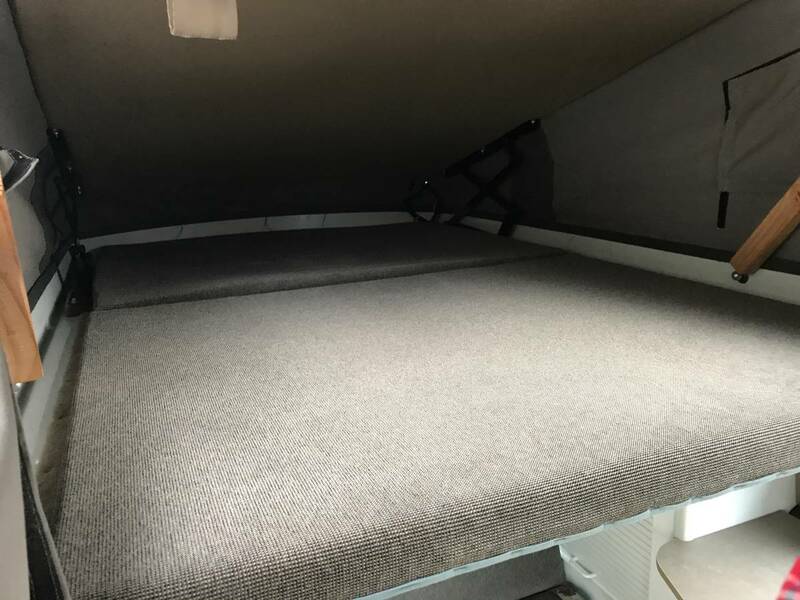 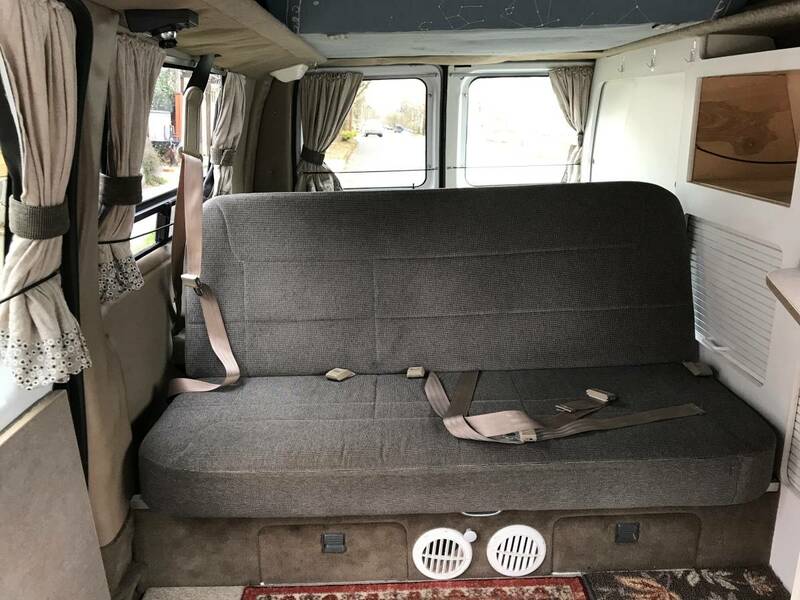 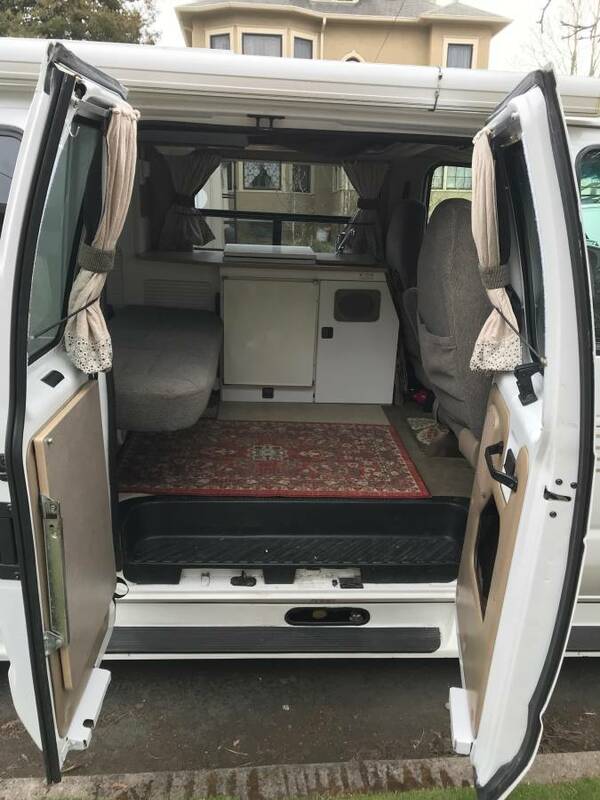 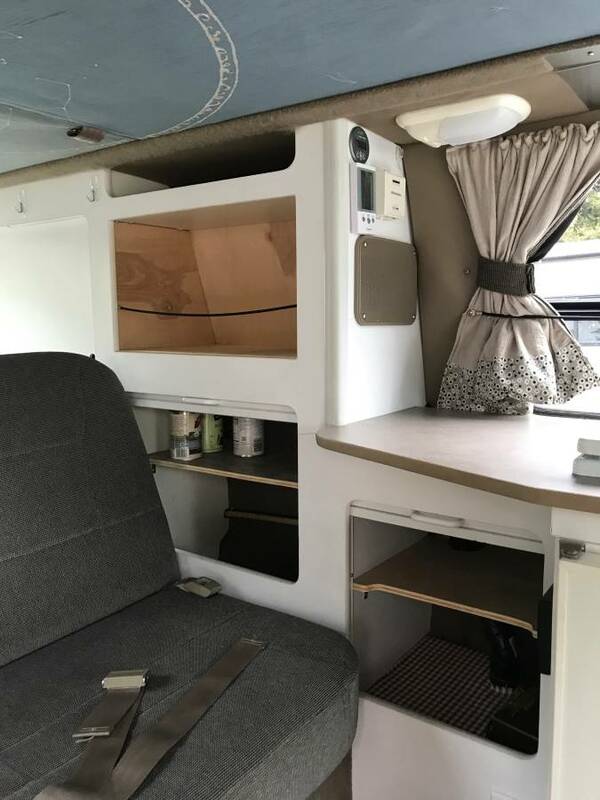 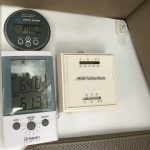 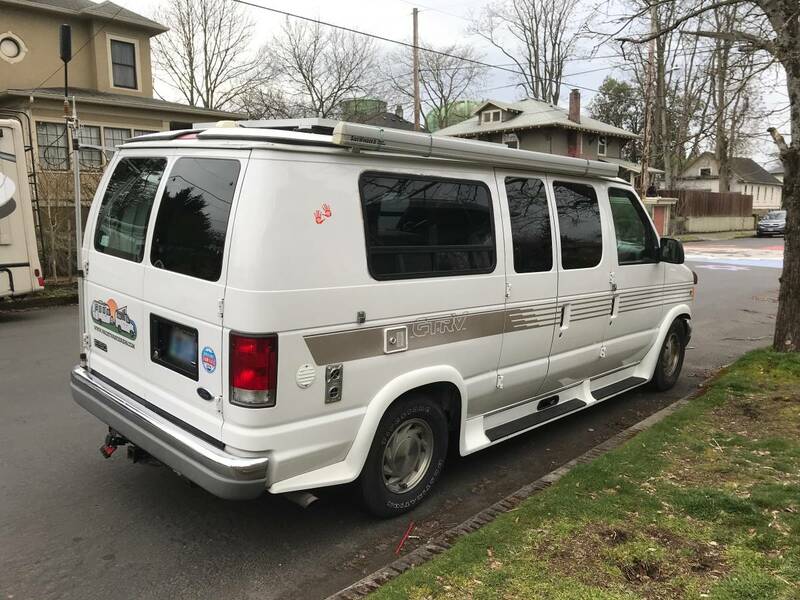 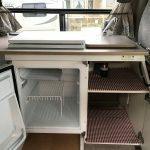 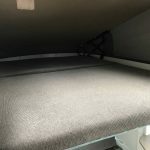 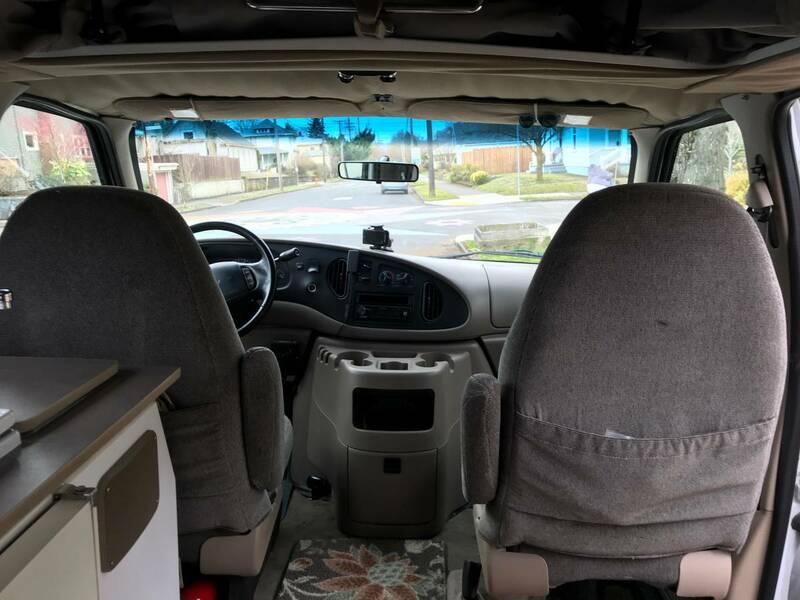 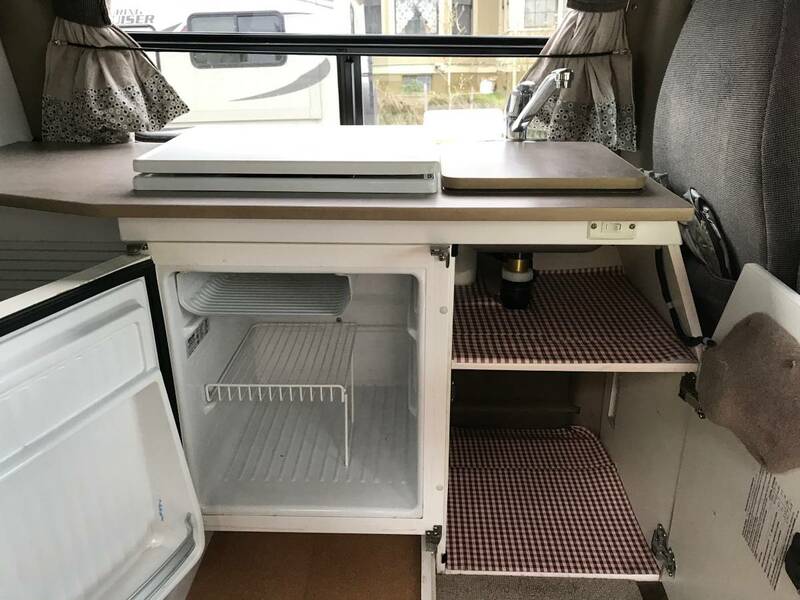 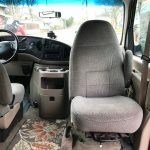 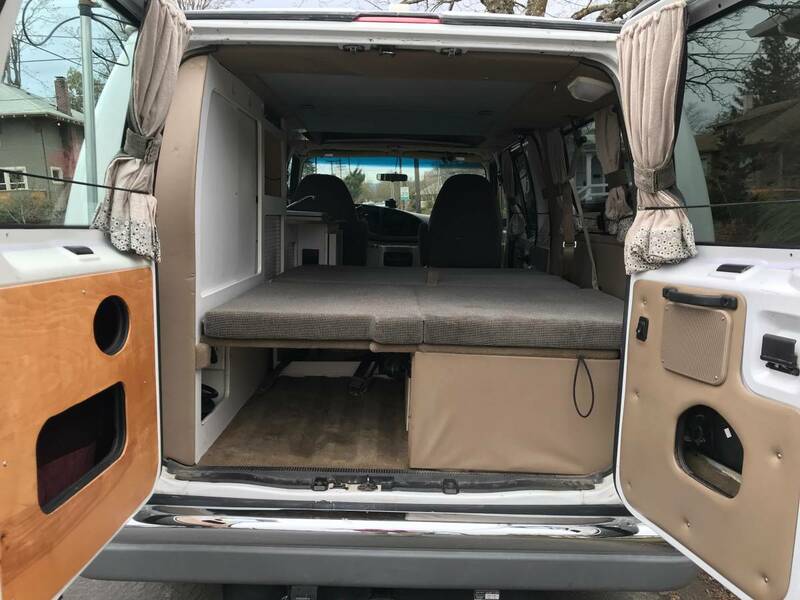 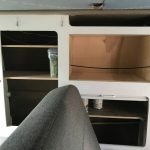 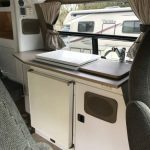 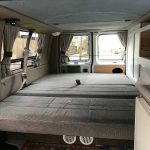 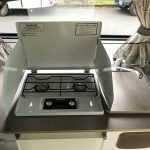 The GTRV van conversions have the same layout as the VW Eurovan, but without the expensive maintenance, with more space, and with a fridge that actually works. 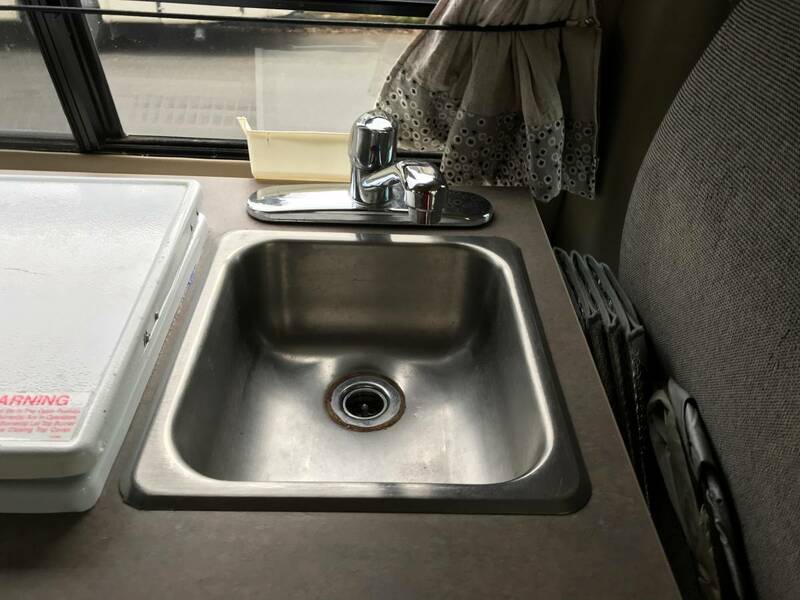 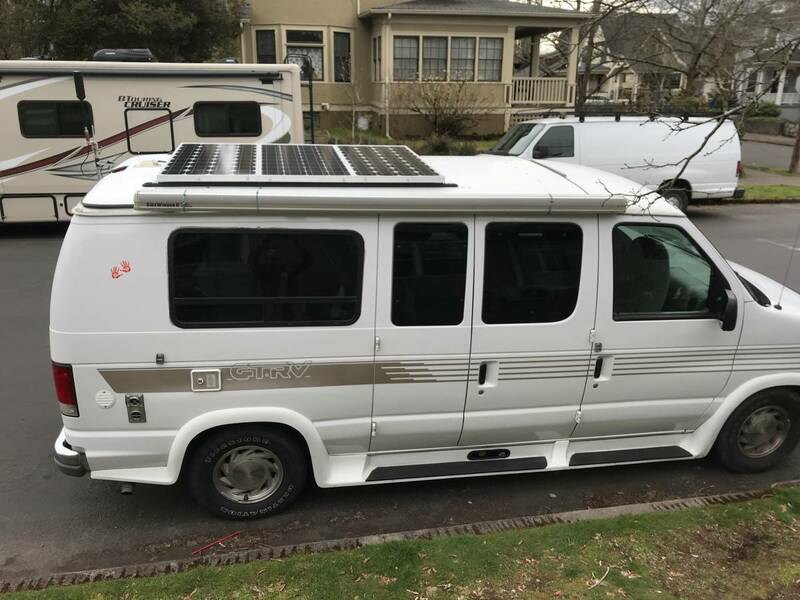 The original GTRV conversion seemed more tailored for camping in RV parks with full hookups. 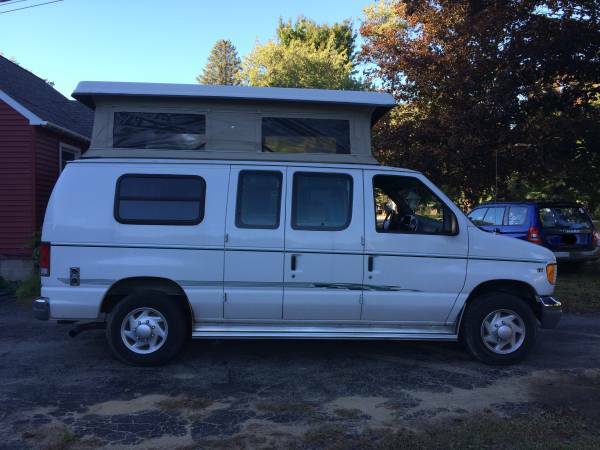 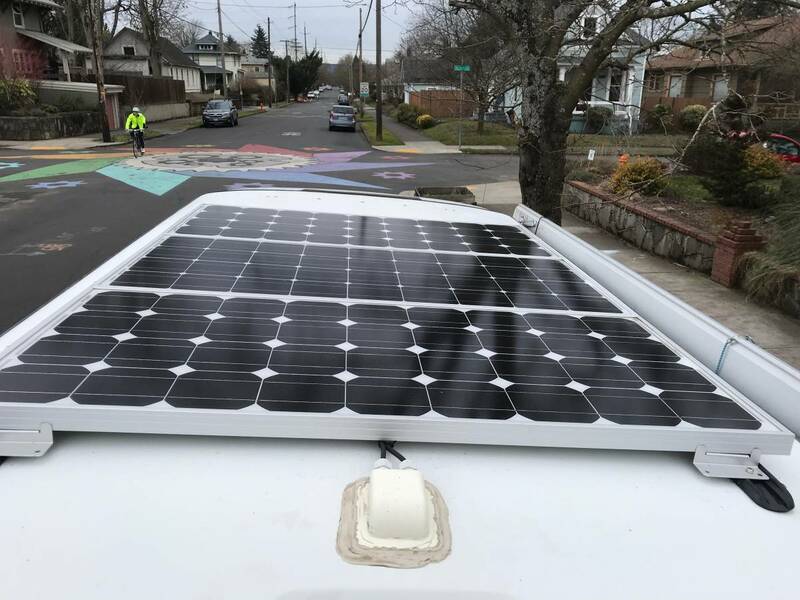 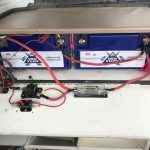 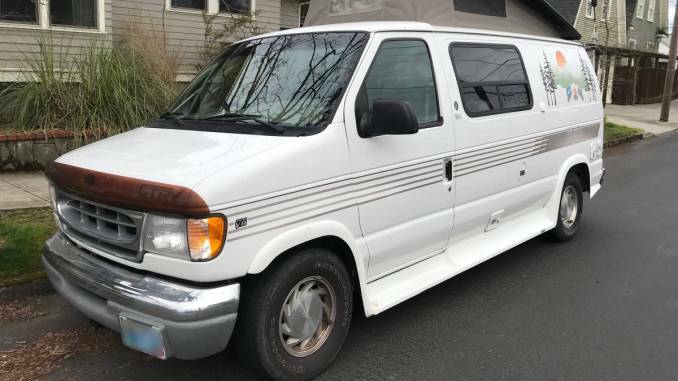 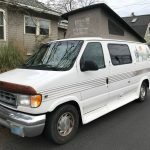 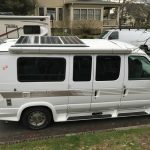 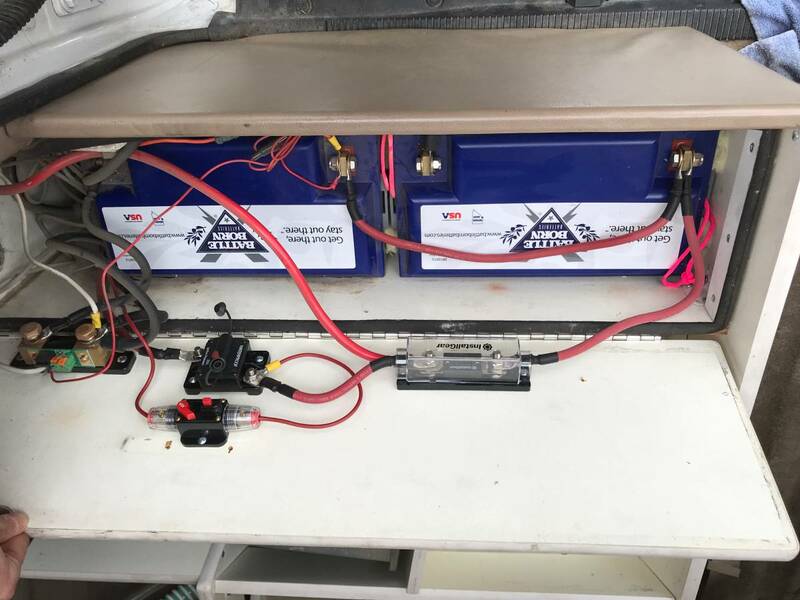 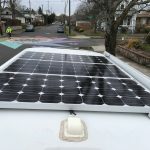 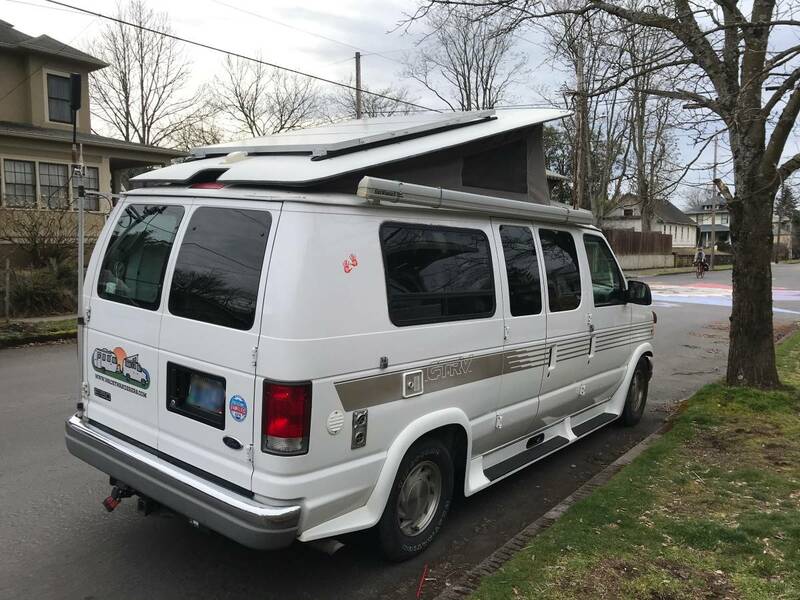 I’ve modified this van to be a true off-the-grid camper (including solar, lithium batteries, cell booster and more), and removed the things that only work when you’re plugged in (A/C and Microwave) in favor of more storage space. 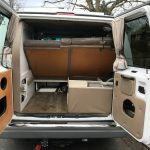 Need more gear with you? 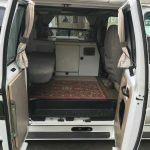 Van is equipped to tow up to 4500 lbs with proper weight-distribution and trailer brakes– we towed an Airstream on a recent trip. 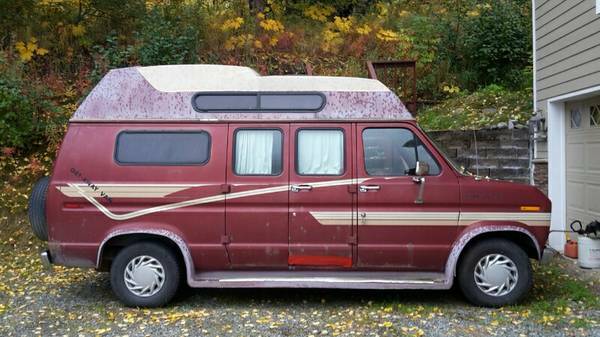 The van is mechanically in excellent condition, according to our mechanics. 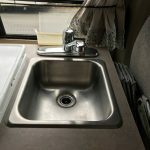 Being a camper, those 132k miles are primarily highway miles. 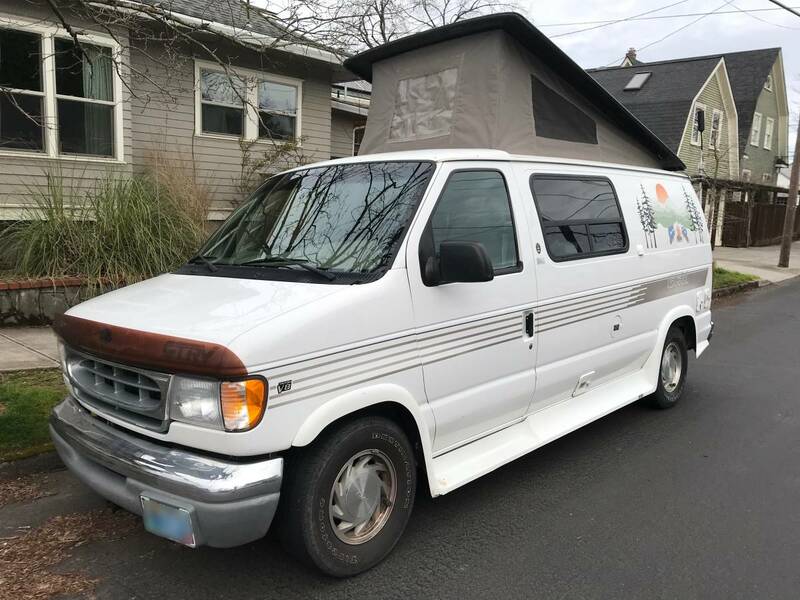 Previous owners stored it in a garage for its first 16 years of life– we’ve owned it for 2 years and stored it outside. 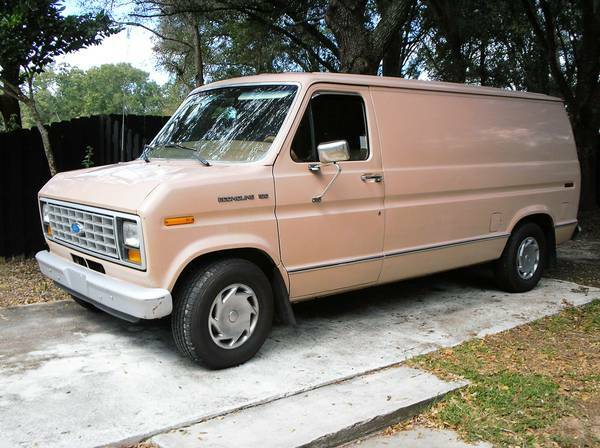 Van has the 4.6L V8 gas engine. 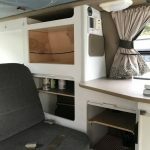 – Removed air conditioner from rear door and replaced rear door (as existing door as cutout for the residential window air conditioner). 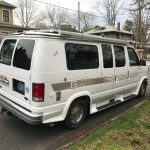 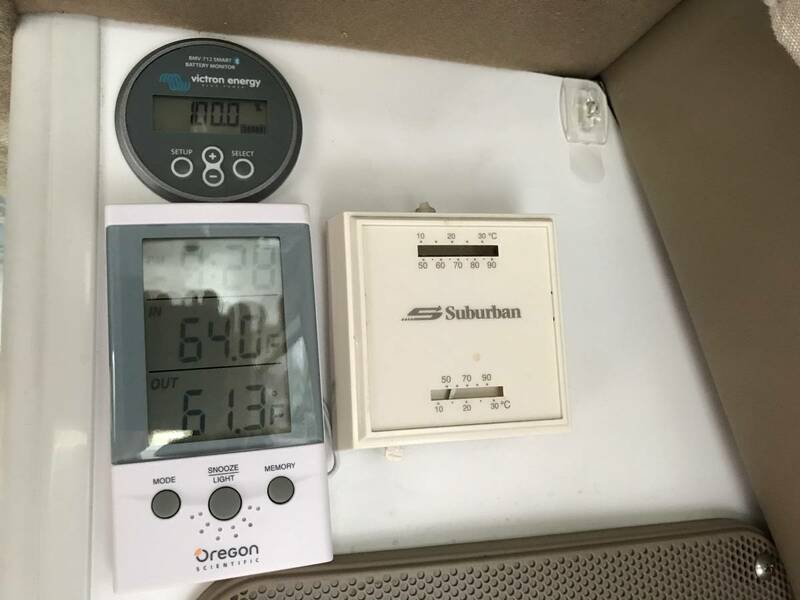 The air conditioner was ugly, didn’t work well (it was 18 years old), and was only usable if the van was plugged in. 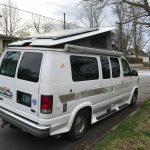 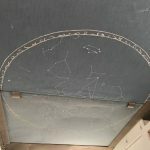 – The gas lifters that lift the pop-top aren’t as strong as they once were– it takes a bit of strength to open the top. 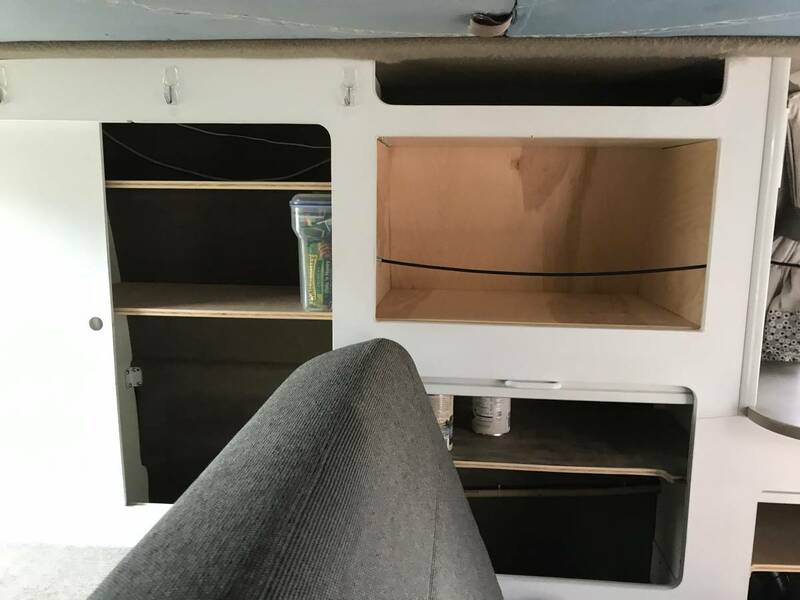 – When I replaced the rear door to remove the A/C I didn’t swap out the window, so you’ll notice one of the rear windows isn’t tinted. 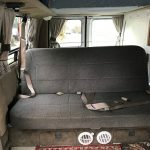 I have the tinted window that I removed from the old door if you’d like to swap it out. 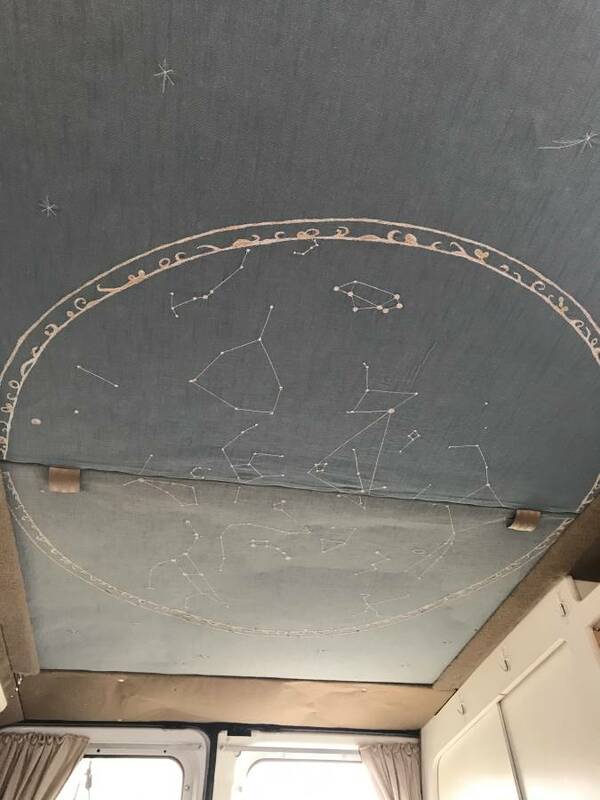 Decals pictured to be removed prior to sale.